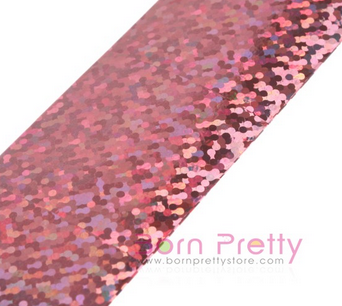 Born Pretty Store added a new item to their shop that I have been anticipating like crazy! I have wanted to try out foils (the transferable kind) for quite a while and was excited to get the chance to try three! These are very affordable at $2.29 USD each. They have 24 options to choose from, and each foil is 113 cm in length by 2.5 cm in width. 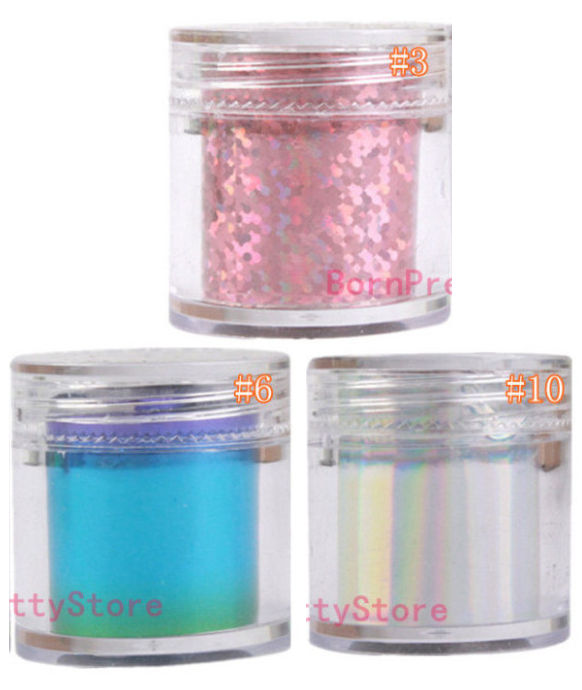 The foils I received are #3 a pink glitter type, #6 a purple/blue/green gradient foil, and #10 a semi-holographic silver. I created three different manis with these to show you some various ways of using them. For the first, I started with a base of China Glaze Crimson. As per the directions on their website, I let the first coat dry, then applied a second. Once the second coat was just slightly tacky, I pressed a strip of the gradient foil randomly on the nail. I decided to take it a little further and use the other two foils, also, so I added splotches of Orly's Bonder base coat, and repeated the process with the silver and pink. For my second look, I started on a base of one coat China Glaze Mega Bite, topped with one coat China Glaze Blonde Bombshell. I added spots of Orly Bonder and pressed the silver foil into it, then outlined the spots with black acrylic paint for a sparkly leopard print. Lastly, I came up with an idea to use these foils if you didn't want to bother with pressing them around on the nail or didn't have a glue/polish that works to transfer them. On a base of Blackheart Sweet Dreams, I cut strips of the foil with pinking sheers and stuck them directly onto the nail and topcoated them. Pressing the foils over tacky polish seems to diminish the pattern a little, but this way, the pattern is perfectly in tact and topcoat doesn't dull it. 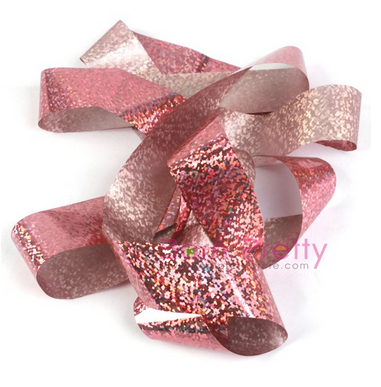 The foils are thin enough that they lay flat very easily! If you'd like to try some of BPS's new nail foils (and I highly suggest you do, they're so much fun! ), make sure you use my code ANL91 at checkout for 10% off your order! If 10 orders are placed using my code, Born Pretty Store will host a giveaway here for all of you! Products were provided by Born Pretty Store for review. I received no compensation. All opinions in this post are both honest and my own.